I love data. And for those who love to tell stories, myself included, data can be a wonderful tool. Especially when that data is freely available to the public. Sometimes, it isn't easy to see the bigger picture, among the mess of arbitrary column names and arcane tech specs. But records are like threads in a tapestry: once you understand how they complement one another, the vision they weave becomes clear. Ordinarily, I reserve this blog for technical topics, however, today I wanted to take some time to talk about public data. It also happens that I love NYC & real estate, which I've had the privilege of working with over the last two years. And so, I thought I'd share a little about the wonderful world of NYC Public data with you today, and how it might inspire your next project. With a growing emphasis on transparency and public access to data under the Bloomberg administration, the New York City government has grown its offerings of public datasets and services under its Open Data initiative. This program represents a collaboration of various city departments, from which both single-source or composite datasets are released to the public, typically on a semi-annual basis. From it's website, you can access a huge number of datasets in a variety of different formats and verticals. But to understand the data, let's first talk about the players, and what part they play in providing it. However, they are not responsible for the actual data itself, which comes from the respective goverment departments. All the same, in my experience, the folks at DoITT have been very helpful and knowledgable about much of the data they service. Contacting them with questions about the data is usually a good place to start. Complementing the technical side of the operation is the city's data team, MODA. 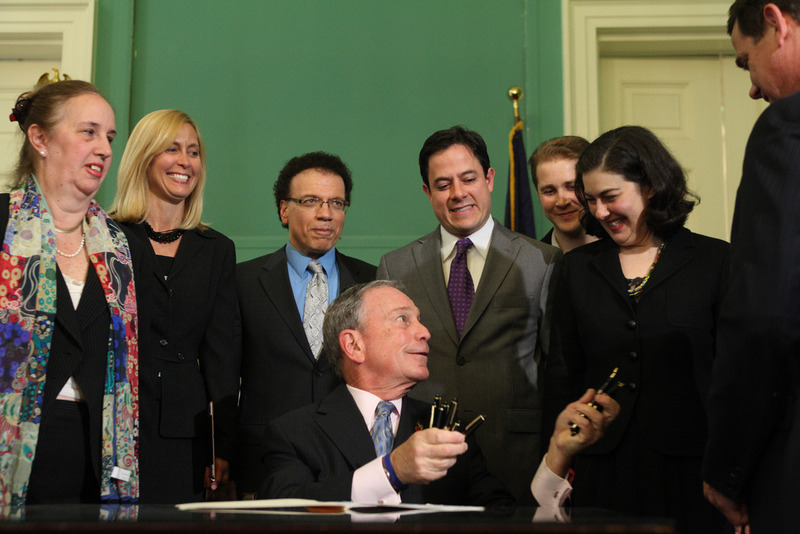 This department, established by the Bloomberg administration, tends to focus primarily on policy research and data sharing within the New York City government. Although I never personally crossed paths with anyone in this department whilst working with NYC Open Data, they do play a significant role in the program. I like stories. But what stories can this data tell? However, I have had much experience working with the public data concerning the real-estate spectrum. And from that experience, I'd like to cover several broad categories, which datasets are related, and how they might be relevant to your interests. If you're interested in buildings, you'll want to take a look at the datasets from the DCP and DOB. List of buildings: The DOB assigns every building a building identification number (BIN). Take a look at PAD, issued by the DCP, which contains a list of all structures, their BINs, lots and addresses. Building details: Although the DOB has a wealth of information as a part of the Building Information Search (BIS) system, I haven't found a copy of building details available for download. However, the PLUTO dataset does offer basic descriptions for lots that might prove useful. Building shapes: Check out this dataset from Open Data. It could be useful for maps or other visual aids. Lot shapes: Similarly, the PLUTO optionally includes shape data for each lot it describes. Permits & construction: A list of permits by individual property is available in BIS, but not for download. However, new permits and status changes to existing permits are issued in weekly and monthly digests from the DOB, which could be downloaded and merged to create a rolling collection. Complaints: Also available via BIS, and also not available for download. Yet also available in weekly and monthly digests from the DOB. Violations: These are not typically managed by the DOB, but by Housing Preservation & Development (HPD), who has a search page for violations. This dataset is available for download, and is updated monthly. Affordable housing: Also known as "inclusionary housing". Zones for eligibility is roughly described in this dataset provided by the DCP. Zoning: A comprehensive list of zones is available from the DCP, which is updated monthly. You can also find some really awesome explanations and visual aids about the nuances of NYC zoning law on the DCP website. For those interested in mapping an address or set of coordinates to nearby structures or zones, you're in luck! Well, kind of anyways. Data support for geocoding as a public service is a more recent development by DoITT and the DCP. Web API: Through its Developer Portal, DoITT has provided a basic geocoding API service. Web developers rejoice! For small scale use, and simple needs, this may do the trick. But if you plan on hammering it with many requests, get in touch with the folks at DoITT first. However, if your needs are not satisfied by the official solutions, you may need to make your own. It isn't simple work, but it is possible! Finding specific buildings: To find a building from an address, one could combine the SND and PAD datasets together. And here we find ourselves squarely in DOF territory. Huzzah. Assessments: Basic assessment values can be found in the PLUTO dataset if you only need a casual assessment value per lot. For individual, detailed assessments, one could use the property search feature. For bulk data, some information is available on NYC Open Data. Exemptions & abatements: Similarly, basic exemptions are in PLUTO, and exemptions on an individual basis can be found via search. Beyond that, however, I have not found a dataset including all tax exemptions. Condominiums: The best dataset I've seen for a list of all condominiums is the DOF's Real Property Assessment Data (RPAD). Unfortunately, the last copy I found in the wild was years old, and I fear it might now even be extinct. Also in the ballpark of DOF, look no further than the Automated City Register Information System (ACRIS) for many of the financial documents for property within the city. Their search feature can be used to find deeds, mortgage papers, and closing documents that offer a wealth of both financial & ownership information. Most of this data is available via NYC Open Data, and is typically updated weekly on Monday morning. For code-savvy readers, check out this GitHub repo for an example of an ACRIS downloader. Under the realm of property & real estate, there are tons of rich data sets provided by NYC government, primarily from Department of City Planning (DCP), Department of Buildings (DOB), and Department of Finance (DOF). ...which means we have to talk about tax. The city bases all of its property tax billing, and consequently its description of property, around lots. Each of these lots are assigned a unique Borough-Block-Lot (BBL) number: a 10 digit code that looks like 1-00001-0001. Traditional: This is your age-old tax scheme. A plot of land is assigned a BBL, and regardless of what's on it, or who lives on it, the city bills the owner of the land (typically a co-op LLC.) This means under this tax scheme, all structures on this plot of land have the same BBL. Condominium: This is the new school tax scheme. Instead of one BBL, the land is assigned a single billing BBL, then each individual condominium unit on that land is assigned its own unit BBL. Taxes are billed to each individual unit's owner. Tax code is boring. What about those datasets? Among the many offered datasets, let's break down some of the most critical ones, which are generally useful in understanding the landscape of NYC real estate. The data itself illustrates an interesting challenge though: some streets have multiple aliases, change name, or have preferred abbreviation schemes. The DCP has a clever set of rules utilizing street codes to address this, however, detailed in their user guide. PAD ADDR: The file containing actual addresses and their references to those buildings, lots and streets mentioned earlier. PAD BBL: Another file that lists all the city's lots, including the composition of condominium unit lots into condominium billing lots. Useful for translating lot numbers. Rumor has it, there's also a mystery file called TPAD (or transactional PAD), which contains small updates to this city data between its semi-annual releases. But I've yet to get my hands on it, as it would seem the DOB is playing this card close to its chest. PLUTO is a Frankenstein of the NYC lot data sets, which contains lot and some building descriptions sourced from the DCP, DOB, and DOF. Unlike some of the other data sets, it describes lots and buildings in more detail, with things like lot type, zoning, assessed taxes, height, number of units, etc. Another awesome feature of this data set is that it optionally includes geographic shape data for its lots, which can be very useful for those with visual applications in mind. Unfortunately, this data set only describes property at the lot level: some of the richer information about buildings can be either inaccurate, or just simply wrong, when the describe a lot with multiple buildings, so utilize with a grain of salt. NYC Open Data Blog: The NYC Open Data program runs a blog with some interesting stories, which can offer inspiration. City Map Blog: The guys that maintain the NYC map also run a blog with lots of rich, interesting info about NYC maps and data. 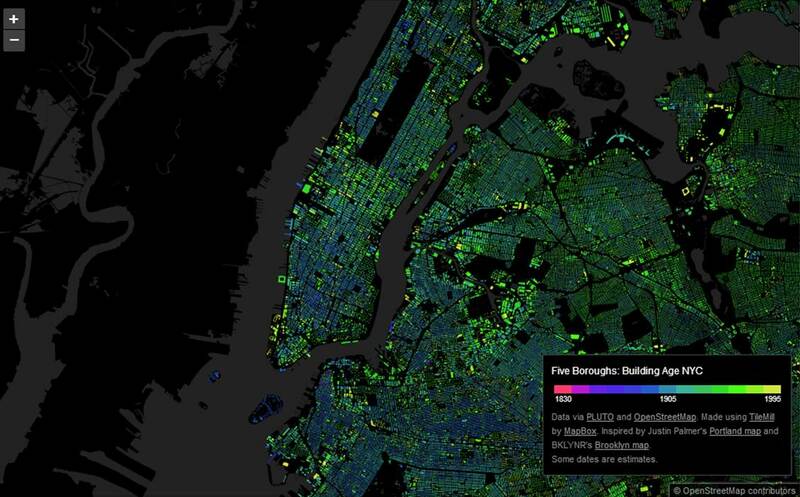 Building Information Search (BIS): The DOB's searchable database of every structure in New York City. Property Tax Roll: This system is great for looking up a full tax history on any NYC lot. ACRIS: Search for mortgage, closing, and other financial documents linked to a property. Great for the savvy homebuyer. Exemptions & Abatements: Searchable list of properties with tax exemptions and abatements.